UPDATE: Due to the government’s recent tax rises Giggling Guiri comedy events that go on throughout the year have come to an end. The only place to see multi-language comedy in Barcelona will be the Barcelona Comedy Festival. This year’s event is still taking place. And hopefully will continue to do so in the future. Even more reason to check this years festival out! Comedy in Spain, organisers of the popular Giggling Guiri comedy nights in Barcelona, are yet again attempting to defy the ‘crisis’ with this year’s Barcelona International Comedy Festival (Festival Internacional de Comedia de Barcelona). The comedy festival runs between the 27th September and 21st October. That’s 4 weeks of comedic entertainment right here in Barcelona. Since 2007 Comedy in Spain have hosted live comedy shows in 8 different languages – Catalan, Spanish, Dutch, Swedish, Italian, German, French and English. This year’s shows are mainly in English but there is also a show in Dutch and one in Swedish. So who is at this Barcelona Comedy Festival? The two headline acts have to be Ireland’s Sean Hughes and Rich Hall from the US. Sean has the first Saturday of the festival, September 29th. 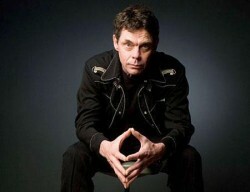 Rich Hall closes proceedings in Barcelona on October 20th. These are two huge acts and I know that Comedy in Spain have been trying to pin down Rich Hall for years. You can see these two great acts for only 15€ each! Or even better value is 25€ for both nights. You wouldn’t be able to see these guys in London for twice the price. For Swedish residents (or speakers) Martin Lagos will be doing a show at the festival’s largest venue, the CAT Centre Artesà Tradicionàrius. Martin will also be performing in English in at the Festival gala with Rich Hall. And the Dutch contingent have Lebbis to look forward to at the same venue. Both shows in their native language. There is comedy mayhem in the form of improvisation pros, B.I.G. (Barcelona Improvisation Group). This international, but English-speaking improv group will need your help for this totally unscripted show. I’m sure the audience will make it as hard for them as possible! And local stand-up group S.U.C.K. (Stand Up Comedy Kills) will hopefully revel in the opportunity to broaden their appeal in Barcelona. They have been hosting regular 5€ stand-up shows in Barcelona over the last year. But if you haven’t seen them then this is your chance to catch this home-grown talent. See the full festival programme for dates, venues and booking links. Well yes there is in fact! 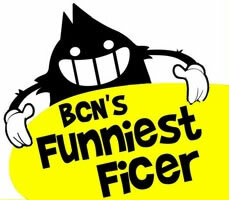 There is an amateur comedy competition, BCN’s Funniest Ficer, the 1st ever English language stand-up competition in Spain! This is sure to produce some memorable moments whether due to good comedy or bad. This could well be the highlight of the whole festival! There is also a programme of comedy cinema at Las Cuevas del Sorte. Including a series of comedy shorts from Ray Torr. And a 3 part showcase on American satirical comedy including films featuring Bill Hicks, George Carlin and Bill Maher. 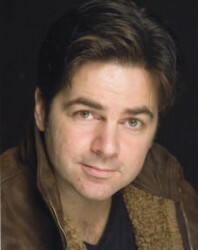 And last but not least Logan Murray is back with his comedy workshops. This is a man with a master’s degree in Stand Up Comedy! And the author of the best-selling ‘Teach Yourself Stand-Up Comedy’. This is a 3 day intensive workshop. Go to the website for details of the workshop. At the time of writing there were only 3 places left! This is a world-renowned course with many graduates going on to become professional comedians and winning many top comedy awards. So plenty to get your teeth into. Please try to go along and support some of these events. I know the organisers are passionate about what they do and are trying their hardest to keep comedy in Barcelona alive and kicking.